The tenth-generation, all-new Honda Civic has been unveiled at the Paris Motor Show. 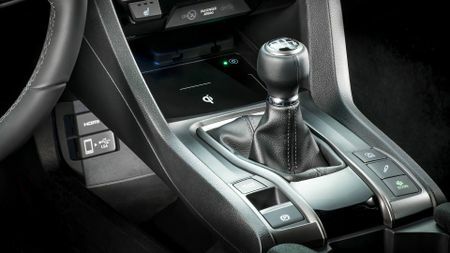 Sitting at the upper end of the small family hatchback class, with rivals such as the Audi A3, Ford Focus and Volkswagen Golf, the Civic has always stood out a bit thanks to the way it looks; and, this latest model looks set to continue that trend, keeping the interesting angles and edginess people have come to expect. The new Civic is longer, wider and lower than the previous generations. However, while the height may be lower (which could make things a bit tight for taller people in the back seats), Honda says there is more room overall in the cabin, thanks to a longer wheelbase. The boot will have a capacity of 478 litres with the rear seats up. There’s no way to flatten the back seats completely like you used to be able to, but the parcel shelf is removable. The many dials on the dashboard of the current model have been swapped for a 7-inch screen that can display both car information and entertainment, and Honda has done away with the overly-cluttered dash that was disappointing on the previous-generation car. Civics have long had an impressive list of standard safety kit, including stability control, an advanced braking system, eight airbags and an autonomous braking system, which is available in the new Civic. But Honda is not stopping there, adding lane keep assist, traffic sign recognition, blind-spot assistance, a camera to aid reversing and adaptive cruise control to every model. The new Civic will initially be available with a choice of two new turbocharged petrol engines, a 1.0-litre three-cylinder unit and a 1.5-litre four-cylinder engine, both of which will be available with a six-speed manual or automatic gearbox. A 1.6-litre diesel will follow further down the line, with a manual six-speed gearbox, or optional nine-speed automatic gearbox. 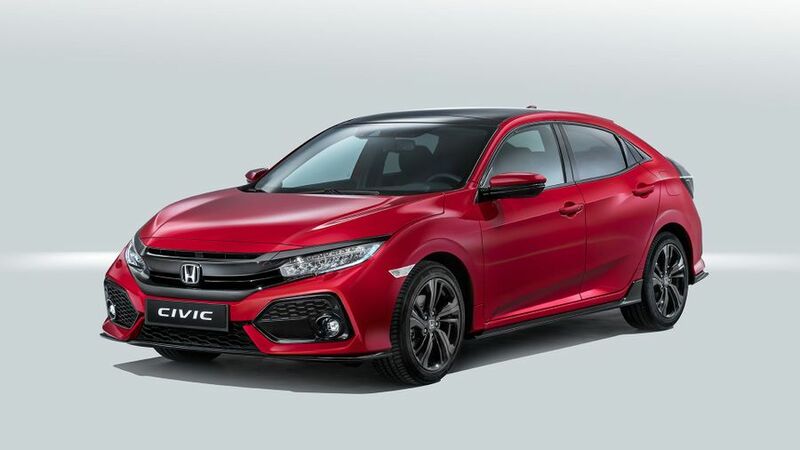 Production of the Civic hatchback has already started in Swindon; and, although UK pricing isn’t yet available, we expect that it will be a little higher than for the outgoing model, reflecting the extra tech buyers are getting.